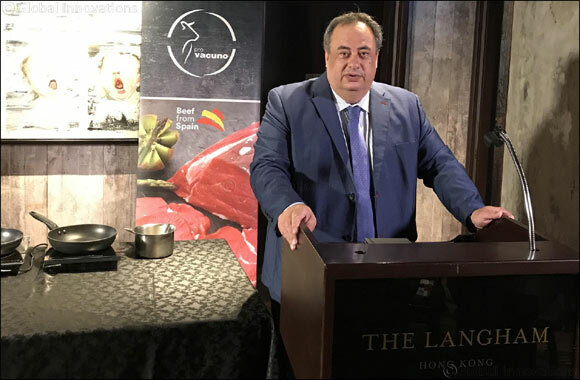 DUBAI, United Arab Emirates, 11 October 2018: Provacuno, Spain's largest agro-food inter-professional Association that represents 85% of the Beef sector in the country is all set to introduce Spanish Beef in the UAE. As part of a programme called ‘What a Wonderful European Beef' from the European Union, Provacuno is hosting several high profile events in October to create awareness about Spanish beef. Provacuno was also the platinum sponsor of the Spanish National Day Dinner, hosted by the Embassy of Spain and the Spanish Business Council held on October 10, 2018 at Fairmont Hotel Abu Dhabi. The gala event was attended by Ambassador of Spain, H.E. Antonio Alvarez Barthe, government officials, diplomats, media and influencers. To get the industry professionals up close with Spanish beef, Provacuno will be hosting tasting sessions and culinary workshops under the mentorship of Juan Luis Fernandez, Executive Chef at LU Cocina y Alma and Former Gastronomic Director at Spanish restaurants - Aponiente (3 Michelin Stars) and Alevante (1 Michelin Star) where media professionals, top bloggers and influencers who will be an integral part of the event will get a glimpse of the goodness of Spanish beef.